Driving a modified car across a continent is never an easy task, never mind finishing that car late the night before departing on said cross-continental journey. Nothing about this is going to be smooth sailing. But that’s exactly what Ryan Stewart did before he left for Wörthersee 2017. 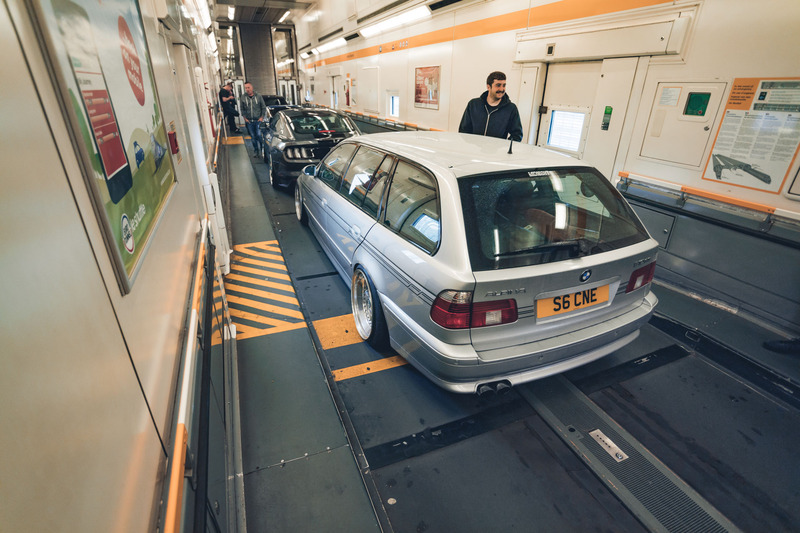 Suffice to say there were teething problems along the way, but this post is about the joy of modifying a one-of-three, ultra-rare wagon and driving it all the way from the UK to Austria with your friends. The ultimate road trip. 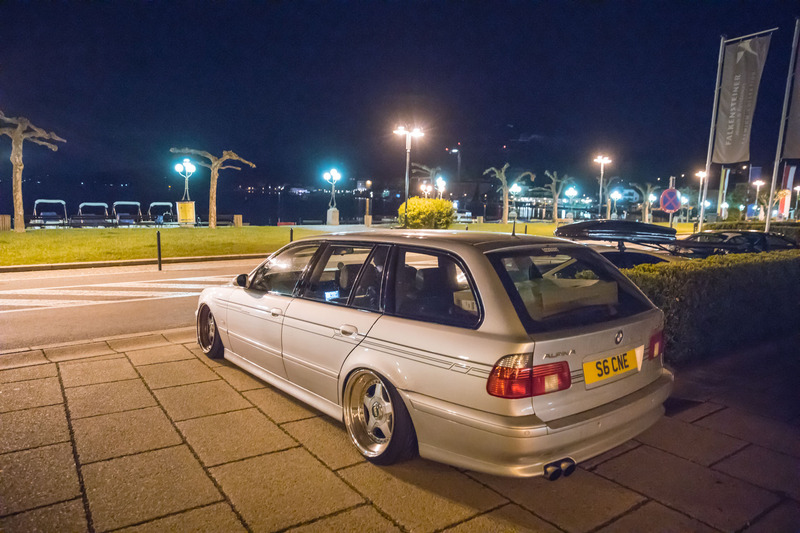 You might already recognize Ryan’s Alpina B10 wagon from this previous blog post: https://www.airliftperformance.com/blog/living-alpina-air-ryan-stewarts-bagged-b10/ , but it’s come a little way further since then. Now boasting a one-of-a-kind VF Engineering supercharger conversion, putting 350bhp to the rear wheels through a Wavetrac LSD, it’s every inch the Autobahn cruiser the BMW wagon was intended to be. Then there’s the latest rolling stock. Yes, those are another modified, ultra-rare item – it seems Ryan really does have a thing for upsetting purists – and these BBS RF are perhaps the ultimate BMW wheel in standard form. 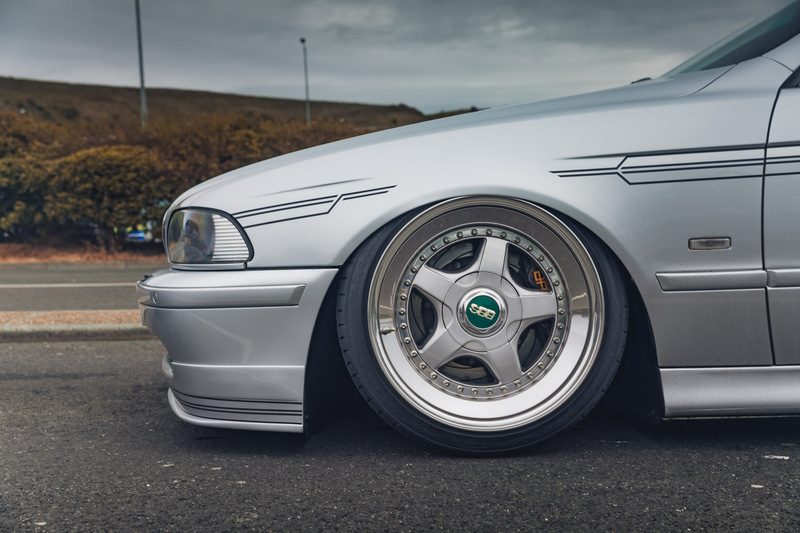 Originally 17″ and found on very late E36 BMW M-sport models, these BBS RF 010 are a factory BMW option called BBS Design 5000. Of course, Ryan wasn’t content to leave them standard and stepped them up to a huge 18×10 size all around. An F80 M3, a modified VW T6, a Mustang and a Mazda made up the convoy to Wörthersee. It was a colorful array of modified car culture and, in true road trip style, each car had its own grumbles along the way. After all, it’s not a real road trip without the odd bird impact and splitter scrape, now is it? 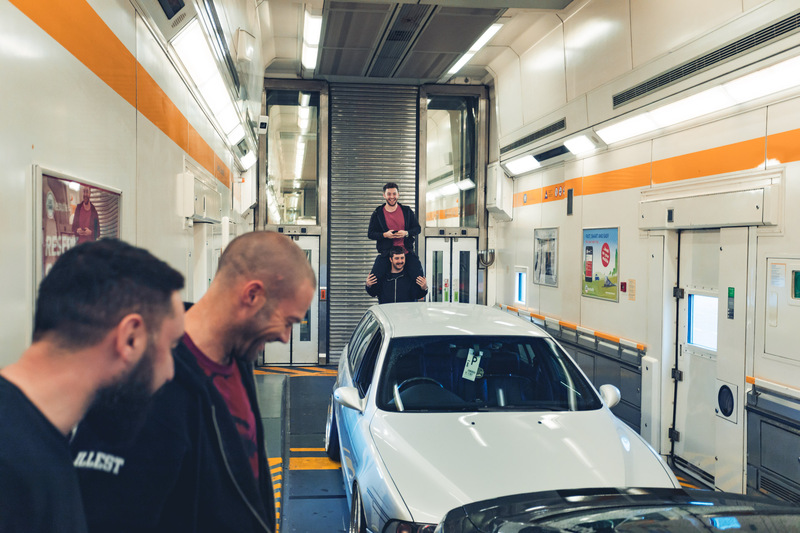 A secret in the convoy’s arsenal was the selection of a wide carriage on the Eurotunnel. With extra space for ultra-wide wheels, the gang could stretch out for that perfect Instagram angle. Speaking of Insta-angles, they don’t get much better than outside the Falkensteiner hotel in Velden, perhaps the most iconic hotel in Wörthersee – its front opens out directly onto the lake and parking spots outside are jostled for on an hourly basis. If you’re going to drive 2,000 miles and endure punctured tires and water leaks, you’ve got to get that shot. It’s nothing compared to the beautiful surroundings just a short drive away, however. Venturing up into the mountains certainly reaps rewards for those adventurous enough to explore. 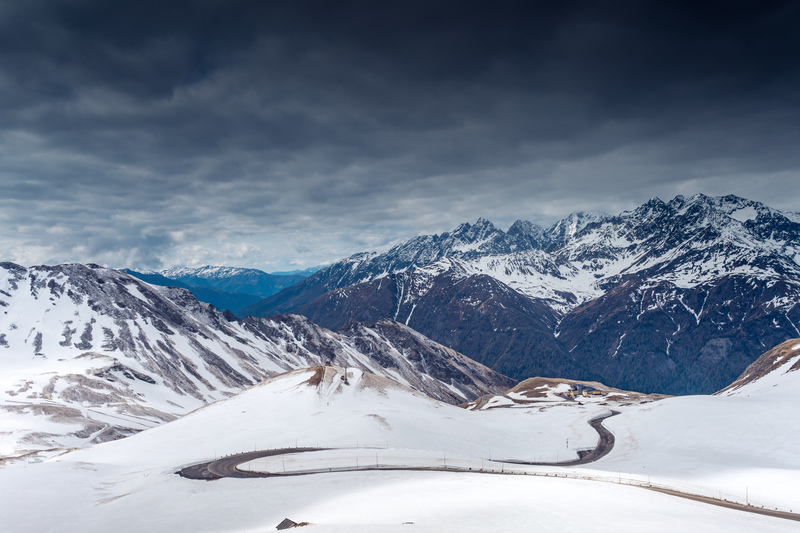 Ryan and the gang all made it to the summit of the Grossglockner High Alpine pass and sampled the stunning views. There’s nothing quite like taking your car on an epic road trip and you never really know what to expect. “Of all the things that could have gone wrong on the trip, the Air Lift Performance 3H never even came into question. The reliability is incredible and, since fitting it 6 months ago, I haven’t given it a second thought. It’s been a true fit and forget modification,” Ryan said. High praise from a man not even content with a finely honed Alpina! And here’s the money shot – an Alpina on an Alpine road. It’s an ending almost too perfect, don’t you think?